Desk Pad or Mouse Pad? 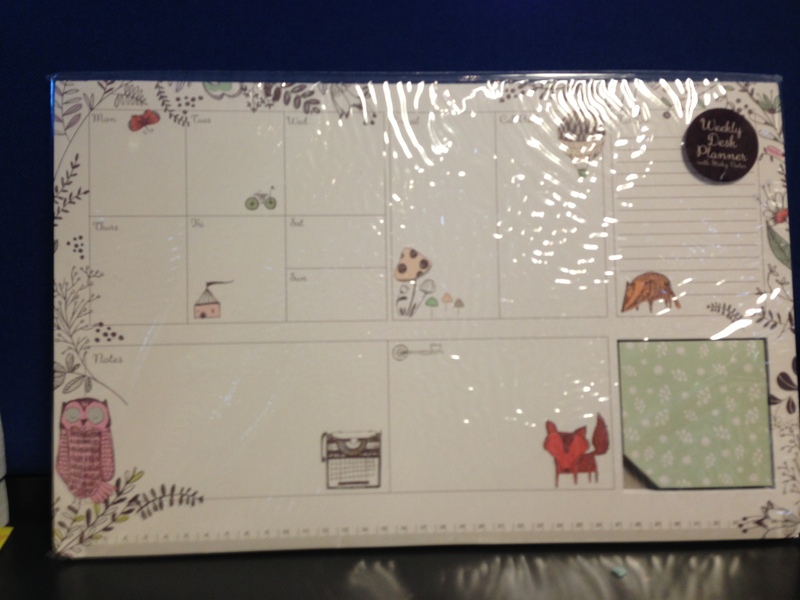 However, I have now bought a Woodlands Desk Planner from Paperchase. This one is not a mousepad but rather a desk planner pad and is about twice the size as the Knock Knock Mouse Pad which is the size of the standard mousepad. I am still using it as a mouse pad which works very well (and saves precious desk space as it takes the place of both my mouse pad and acts as my to do list (with extra writing space)). The weekly desk planner is great for work as it brightens up my desk and includes all the things I need from notes, to-do list, email and call back list, daily blocks, key info and cute sticky notes. Yes – it includes sticky notes. What is not to love. Why would you ever want to use a regular old mouse pad ever again? Use a mouse pad as your to do list instead. Hello, could I ask how much this was? This one was under between £7 and £8.